Yes , it is partly because of the deep spiritual message of the season that I was raised on since I was young and the cultural traditions, but it has been also this guiding inner voice that has directed my whole life that I feel the strongest during this season. It fills me with all that is positive and good. It fills me with love for others and myself. It has helped me to rise above my mistakes and walk through the fires of difficult trials. Christmas also brings into mind the most powerful memories and images that embodies what is important to me and what I value in my whole life. It is about family, my children, grandchildren, friends and is ultimately about love. It is about living your life authentically and truthfully. It is about forgiveness, seeking it and giving it. It is about serving others and helping others. It is about non-judgement and acceptance. I have been blessed with wonderful people who have filled my life with memories and experiences that continue to unfold every day of my life. I am thankful every morning for that. Now it is the possibility of what each day brings that is truly meaningful to my life. 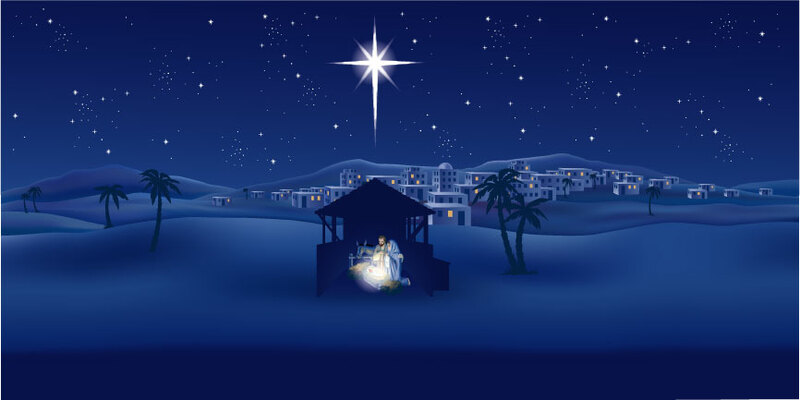 So this Christmas, the simple story of a babe in the manger is the sublime truth that hope is the guiding star of our life in that the best of ourselves is what is truly divine and what brings joy.